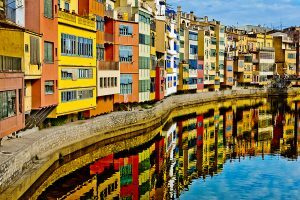 The picturesque city of Girona is worth visiting at the best of times, however, every May it undergoes a spectacular transformation. 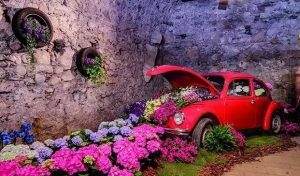 During the flower festival, known as the Temps de Flors, the narrow streets of the city are filled with an abundance of colour as the its Barrio Vell district is transformed into a vibrant floral show. 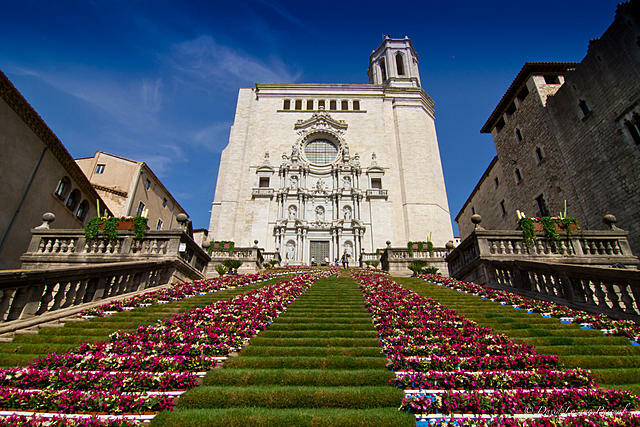 Visitors from all over Spain and beyond descend upon Girona’s open spaces, monuments and courtyards to take in these spectacular floral decorations. The dazzling colours and delicate smells make the perfect compliment to this historically rich town. The best part however, is that this amazing display is all for free! However this festival goes beyond sights and smells! How about taste too? 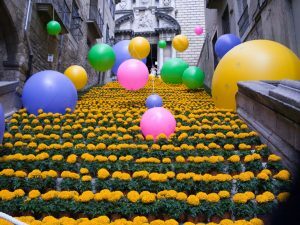 Some of Girona’s best restaurants will join in the festivities and offer a selection of exciting food which incorporates flowers into their dishes. 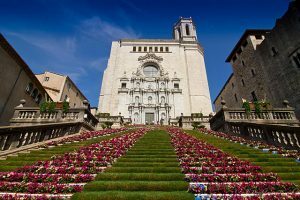 If you’re looking for something a little less fast paced then Girona will be right up your street. Although only 100km from the Catalan capital, it feels worlds apart. With all the amenities of a large city, yet the quaint charm of a small town, there is no reason not to take the trip up to this medieval marvel. The Temps de Flors takes place in the old and quaint Barri Vell, the city’s historic centre. Flanking the river with its multicoloured houses it’s been referred to as the ‘Spanish Florence’ and truly is a sight to behold. Girona is easily reached from all of Barcelona’s Passeig de Gràcia station, with Renfe trains running every 20 / 3o minutes. Take note that last year the train company offered a 35% discount on return tickets to Girona. This entry was posted in Events, Home, Places, Tourist Guide and tagged barcelona festivals, barcelona tourist guide, catalan culture, things to do in barcelona, tourism in barcelona. Bookmark the permalink.